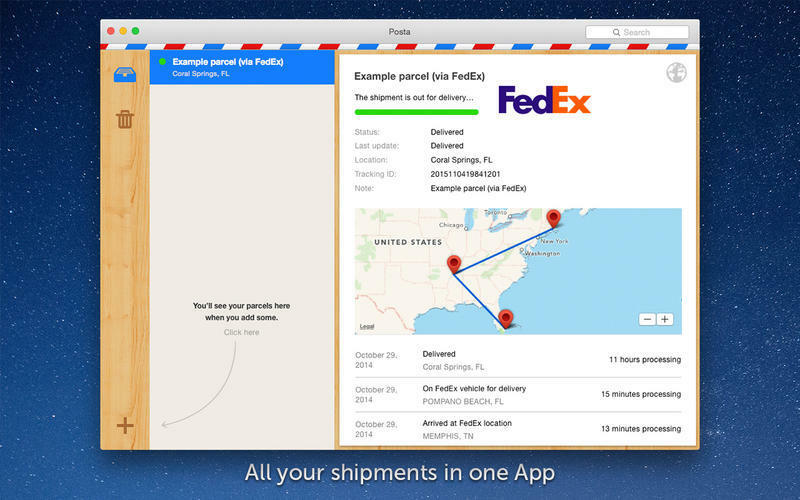 Keep tracking of all your parcels in one application. Is there a better alternative to Posta? 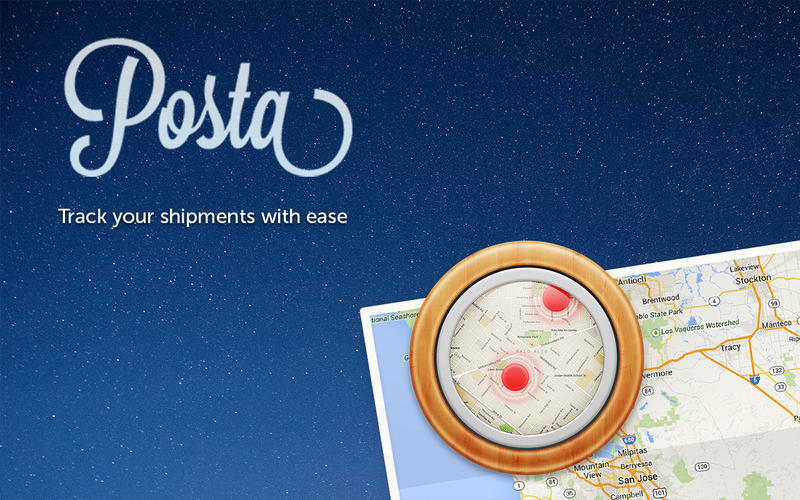 Is Posta really the best app in Inventory category? Will Posta work good on macOS 10.13.4? Posta gives you an easy and prompt way to hold under control all your parcels from more than 35 popular post services in one united space. Tracking has never been that easy! Addition of parcels through the track number and title. Support of the most famous post services such as Fedex, UPS, DHL, USPS, etc. Autodetecting of the post service by the track. Browsing of the delivery actual status and history on the post service site through the application. Posta needs a review. Be the first to review this app and get the discussion started! Posta needs a rating. Be the first to rate this app and get the discussion started! Unlimited amount of parcels being monitored. Receive the full information about your parcels directly, without intermediaries. 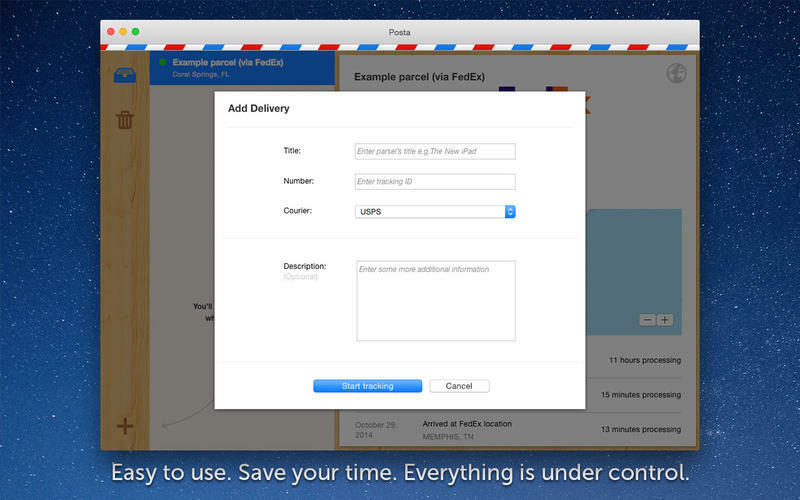 All data on parcels are saved on your Mac. Monitoring of actual status, last update date, delivery history, and other useful information. It demonstrates the itinerary of the delivery on the map (that is available for some services). Notifications about parcel status.